Please read this carefully. By accessing the Persia Page© website at www.Persiapage.com (“Site”) you are agreeing to the terms that appear below (“Terms”) whether or not you register as a user. If you have any questions, please contact us. We reserve the right to alter any and all of these Terms at our discretion. Changes to the Terms will be notified to you on the Site. You will be agreeing to these Terms and any future Terms by using the Site. If you do not wish to agree to these Terms, do not use this Site. Access to this site does not require you to become a registered user. If you wish to be able to post comments (“Ratings”) or to receive e-mail from Persiapage.com (“Alerts”) you will need to register. In order to become a registered user of the Site, you must providePersiapage.com with complete and accurate registration information. Furthermore, it is your responsibility to ensure that this information is kept up to date by informingPersiaPage.com of any changes to your registration information (including, in particular, your e-mail address). This is done by contacting us. As a part of the registration process, you must choose a username and password (your “ID”). This information should not be shared with anyone else. Each registration is for a single user only.PersiaPage.com does not permit persons to share ID’s, nor does it permit multiple users to access the Site via a network using a single ID. You are responsible for all use of the Site by your ID, whether this is by you or anyone else using your ID. You are responsible for any unauthorized use of your ID. If you are concerned that the security of your ID has become compromised, you must notifyPersiaPage.com immediately by contacting us. PersiaPage.com hopes that you find the Alerts useful but if you do have any complaints about them or their content, you should click contact us or write to Sheriff Directories Ltd, 145-157 St. John St. London, EC1V 4PW, and we can help prevent you from receiving further Alerts. PersiaPage.com reserves the right to suspend or, with cause, terminate your access to all or any part of the Site at any time with or without notice at our discretion. If notice is to be served, this will be deemed to have been adequately served three hours after e-mail transmission to your e-mail address as notified to PersiaPage.com. PersiaPage.com offers users the facility to post comments to the Site.PersiaPage.com does not control and takes no responsibility for, the content of comments. However,PersiaPage.com reserves the right to delete, edit or move any comment. You waive any moral right you may have in regard to the comments. You confirm that you are over 16 years old and are solely and entirely responsible for the content of any comments you post. You agree to comply with any and all rules posted byPersiaPage.com in relation to comments. any form of advertising or promotion for goods and services; unlawful, threatening, abusive, libelous, defamatory or indecent remarks or infringe copyright or other rights of third parties; i.e. deliberately leaving harmful or misleading information on a direct competitor, any other form of illegal content; any virus or another harmful component. You may not impersonate any person or entity (includingPersiaPage.com employees) or misrepresent any affiliation with any person or entity or otherwise disguise the origin of any Ratings. You are not permitted to collect or store other users’ personal data or restrict or inhibit any other user from using the comments. You agree to indemnify and hold harmlessPersiaPage.com from all claims, costs and reasonable expenses (including reasonable legal expenses) that arise as a result of you posting any comments that are in breach of these Terms. PersiaPage.com takes no responsibility for, and cannot guarantee the accuracy, quality or integrity of any comment submitted. You must note that some users may submit comments that are misleading, inaccurate, untrue or offensive and consequently you should not place any reliance on the accuracy of any comments. By submitting a comment you grantPersiaPage.com a perpetual royalty free non-exclusive license to reproduce, modify, translate, make available, distribute and sub-license the comment in whole or in part. This will also include personal information such as your username or alias (if available) and your expressions of opinion. PersiaPage.com does not have the ability to ensure that Ratings do not infringe the copyright, or any other right, of third parties. If you feel that a Rating infringes any legal rights you may have, or you wish to complain about the content of a Rating you should immediately contactPersiaPage.com by clicking contact us with full details of your complaint and accurate details of how we may contact you. All material on the Site and its selection and arrangement (“Content”) belongs toPersiaPage.com or its licensors.PersiaPage.com permits you to access and display Content on your computer screen, to store Content for personal, non-commercial use and to print individual pages on paper. You may not photocopy Content. PersiaPage.com permits specified parties to advertise and offer for sale certain goods and services. Any contract that you make for the purchase of goods or services from these parties will be with the specified third party and notPersiaPage.com.PersiaPage.com will not be responsible for any error or inaccuracy in advertising material. Advertisers and sponsors are responsible for ensuring that any material they submit to the Site is compliant with all relevant laws. You may not commercially exploit the Content. You may not, without the prior written authorization ofPersiaPage.com, remove the trademark or copyright notices from copies of Content made under these Terms. You may not create an electronic or manual database of any or all ofPersiaPage.com Content. Any competitions, prize draws or promotions on the Site are subject to terms that will be made available at the time of the competition, prize draw or promotion. These Terms shall be governed by, and construed in accordance with, English Law. Your rights under these Terms may not be assigned, sub-let or otherwise transferred. Rights and remedies under these Terms will not be waived by a failure of either party to exercise any right or remedy under these Terms. If this term or any of these Terms is found to be invalid by a court with competent jurisdiction, the remaining Terms will be unaffected and remain valid. The Site is for public access and is not intended to cater for individual requirements. The Content does not constitute any form of advice, recommendation or another arrangement byPersiaPage.com. You should not rely on the Content in making, or refraining from making, any decision. Any arrangements made between a third party named on this Site and yourself are at your sole risk and responsibility. 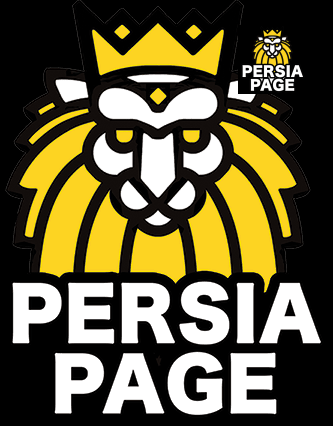 PERSIA PAGE IS PROVIDING THIS GENERAL INFORMATION SITE FREE OF CHARGE. WHILST WE ENDEAVOUR NOT TO MAKE THE SITE MISLEADING WE CANNOT REPRESENT THAT THE INFORMATION ACCESSIBLE VIA THIS WEBSITE IS ACCURATE, COMPLETE OR CURRENT. OTHER THAN SET OUT IN THESE TERMS AND CONDITIONS OF USE,PersiaPage.com MAKES NO (AND EXPRESSLY DISCLAIMS ALL) REPRESENTATIONS, WARRANTIES, CONDITIONS AND OTHER TERMS EXPRESS OR IMPLIED BY STATUTE, COLLATERALLY OR OTHERWISE WITH RESPECT TO THIS WEBSITE OR ITS CONTENTS. Except as specifically stated on this Website, to the fullest extent permitted at law, neitherPersiaPage.com nor any of its affiliates, directors, employees or other representatives will be liable for damages arising out of or in connection with the use of this Website. This is a comprehensive limitation of liability that applies to any and all losses, damages or costs of any kind, including (without limitation) direct, indirect or consequential damages, loss of data, income or profit, loss of or damage to property and claims of third parties. For the avoidance of doubt,PersiaPage.com does not limit its liability for fraudulent misrepresentation, death or personal injury to the extent only that it arises as a result of the negligence ofPersiaPage.com, its affiliates, directors, employees or other representatives. PersiaPage.com Site contains links to other sites. Such links are clearly indicated although such sites may be co-branded with PersiaPage.com and so may includePersiaPage.com trademarks.PersiaPage.com is not responsible for the content or availability of such sites and will not be contractually implicated in any transaction for goods or services available from such Third Party Sites. You can cancel your subscription for a full refund before your subscription starts once your subscription has started you will not receive a refund for the service that you have paid for unless otherwise stated. We do not give refunds if you change your mind after handing over your details to be processed. Our terms and conditions do not affect your statutory rights.